PROTECTING OUR PLACES: IT’S WORKING! As a result of our collective advocacy, 361 active community properties are no longer at risk! The deadline for illegally-taxed nonprofit-owned properties to not have their improperly-charged debt sold to private investors was delayed to next Friday, June 23! Read more about our wins and ways to protect your local gems here. Despite the progress we’ve made, 176 community properties are still at risk! 596 Acres, the Community Development Project of the Urban Justice Center, NYC Council Members Antonio Reynoso, Ben Kallos and more are joining New Yorkers whose places are directly threatened by the tax lien sale at City Hall to advocate for at-risk resources and announce legislation that will help protect properties in years to come! Stay tuned here for exciting announcements. More 596 Acres news: testify with us about Urban Renewal accountability today, June 15 at 2pm at City Council! We’re tabling around town: learn about community land access opportunities next Saturday, June 24 from noon to 5pm at a Garden Opening and Block Party in Long Island City, Queens (39-22 29th St btwn 39th and 40th Aves). NYCommons is hiring a researcher and 596 Acres is hiring a Director of Advocacy! Plus we’re in Shareable. Flatbush, Brooklyn – Q Gardens on Church Ave and East 18th Street (along the subway tracks) is having a composting bin build this Saturday, June 17 from 10am to 3pm to expand from 6 to 9 bins! Please join for a great day. They will provide tools and snacks! More information. Cobble Hill, Brooklyn – South Brooklyn Children’s Garden at Columbia and Sackett is having a potluck this Saturday, June 17 at 4pm to grill, hangout, and meet old and new members. Bring whatever you want to grill and eat! More information here. Bedstuy, Brooklyn – Join Myrtle Village Green (on Myrtle Avenue between Franklin and Kent) for a Garden Bike Tour of Bed-Stuy this Saturday, June 17 from 11am to 1pm! Free bikes available for adults (arrive at least 15 minutes early). Neighbors organized to gain access to this formerly vacant NYC Department of Env. Protection land in 2012; a water tunnel access site, it was planned as “permanent public artwork” in 2002 as per the city’s Percent for Art law. Connect through their website and sign up to Organize on the lot page for updates. Bedstuy, Brooklyn – The 1100 Bergen Street Community Garden has been community-stewarded since 1979! 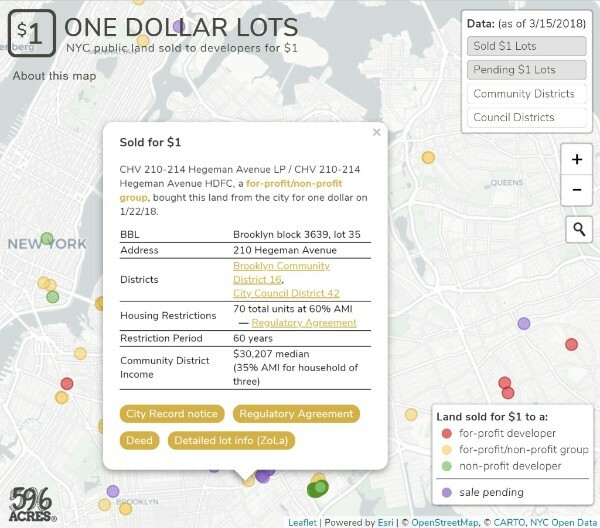 In 2015, 596 Acres, the Brooklyn Queens Land Trust and Paula Z. Segal worked together to save it from the doom of the tax lien sale and preserve it in perpetuity – for you, for all of us, for NYC. New members are very, very welcome now that we are through all that. Join this Sunday, June 18 at 3pm at Bergen and Nostrand to come care for a patch of this earth! Event information here. Crown Heights, Brooklyn – Brooklyn Borough President Eric Adams voted YES to NYC Park’s proposal to acquire this dynamic public resource that neighbors created on abandoned private land on their block! Thanks BP Adams for designating money to acquire it and for your ongoing support! Next step: gardeners are testifying in support of the city’s proposal at the City Planning Commission ULURP Hearing next Wednesday, June 21, 10am at Spector Hall, 22 Reade St. in Lower Manhattan. Read more about how NYC acquiring this public gem will protect it from deed fraud here. Enjoy photos of their recent meeting beneath the willow and their new tiny library! Sign up to Organize on the lot page here for updates. 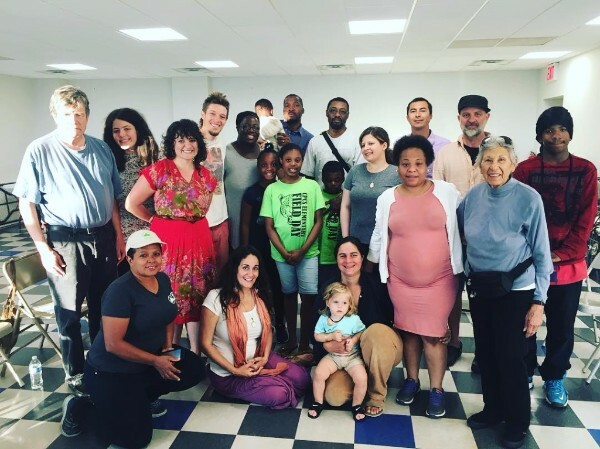 Bushwick, Brooklyn – Eldert Street Garden was back in court this week! Oral arguments about the dubious sale of the nonprofit land were postponed and will take place on Wednesday, July 26 at 9am, Kings County Supreme Court, Room 469. It’s likely to be a deciding hearing, so save the date to save the space! Let’s show the judge that real people have a stake here. Sign up to Organize on the lot page or follow them on Facebook for updates. Greenpoint, Brooklyn – Next Saturday, June 24 from 11am to 3pm, join Newtown Creek Alliance on the water at the end of Meeker Ave for a public workday to improve environmental conditions and safety at street-ends. More information here. NYC Community Garden Coalition‘s monthly meeting is tonight, Thursday June 15 at 6:30pm at Harlem’s Pleasant Village Community Garden (Pleasant Ave between East 118th and East 119th)! The focus is organizing to protect endangered Harlem gardens like Pleasant Village, The Mandela Community Garden and Joseph Daniel Wilson Garden. Facebook event here. Want to learn new skills for stewarding your space? Check out the GreenThumb event calendar. Picture the Homeless is hiring a community land trust & housing organizer to work on their East Harlem community land trust campaign which is curbing displacement and creating housing for low-income folks! Full time, at least 1-year commitment. Applications due July 7. More information and job description here. Brooklyn Queens Land Trust (BQLT) is hiring a Strategic Development Consultant to work with their Board to create a staffing and fundraising plan for the organization’s future. Applications are due on Sunday, June 25. Job description and how to apply here. NYC’s Office of Consumer Affairs is hiring a Program Officer to support Community Wealth Building in NYC! 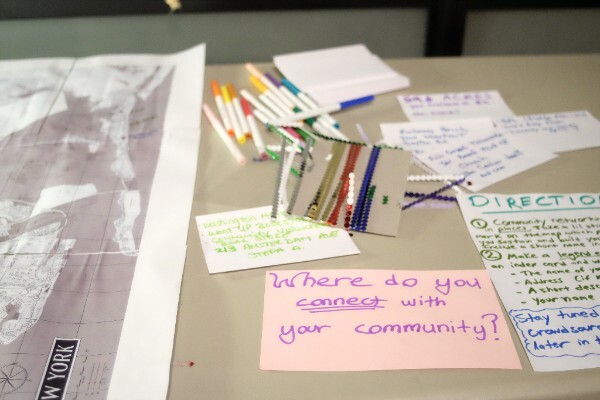 The work will involve qualitative research into how NYC can build more equitable economies, community outreach, and program design and evaluation. More information and how to apply here. 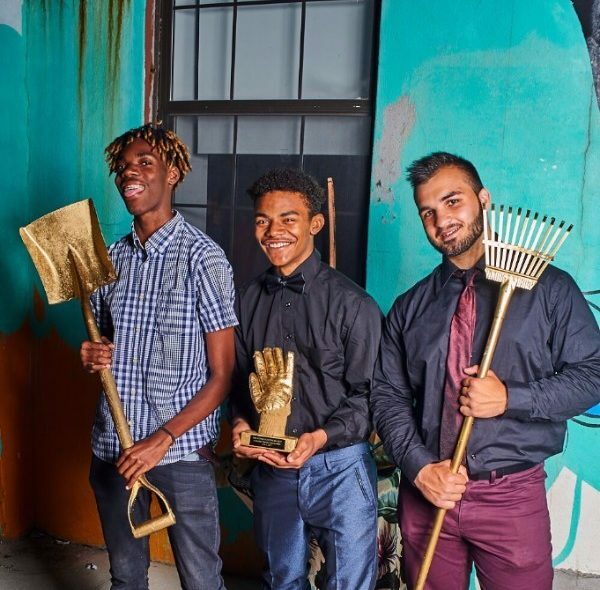 Greenpoint, Brooklyn – Community composters! A woodworker wants to donate wood chips and shavings to you. They are willing to arrange a pickup situation. Contact Garrett at g@gnwoodwork.com to make it happen. 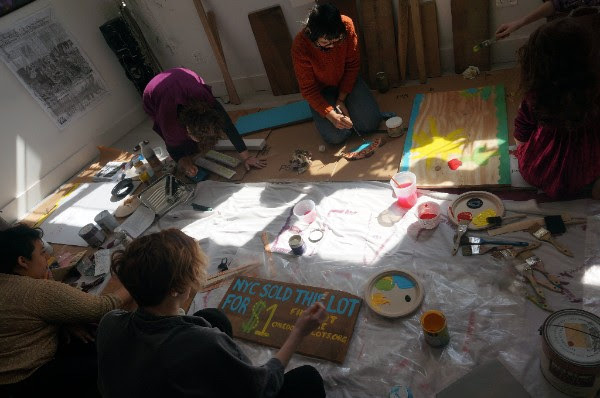 Check out our list of micro grants and resources that can help you make your project a reality AFTER you have access to your lot.